What does this mean? Should we then excuse teens’ violent behavior? Am I suggesting that society accepts violence as normal behavior among teenagers? Certainly not! What is imperative here is that effective parenting skills be utilized to help adolescents through the turbulent teenage years. WHAT DO TEENS NEED FROM ADULTS? model strength, openness, respect, trust, and cooperation. provide good information to assist them in life’s decisions. respect their intelligence at all times. value teens’ fears and problems as genuine. not try to force change on anyone. prevent rudeness, judging (especially judgments about appearance), lecturing, attitude of disrespect, or the attitude that one is “incorrect” or blameworthy for what she/he believes at the present time. recognize that small steps and activities are important and need to be encouraged. welcome and celebrate making mistakes and be willing to risk and learn. listen, listen, praise, praise, respect, respect. Perhaps one of the greatest needs of teenagers is a daily, loving touch, from their parents or significant others. It is the best medication to build the teenage-family immune system against the evils of society. Parents, when was the last time you touched your teenager in a loving, caring way? Whether it is a hug, pat on the shoulder, squeeze, embrace, teenagers are craving for a loving touch, even if they appear to be cold or reluctant to do so. Most teenagers who are cold towards a touch are that way because parents did not continue their touching through the early growth years. Virginia Satir, the late American psychotherapist, gives a simple formula to the furtherance of the human race: "Four hugs a day for survival, eight hugs for maintenance, twelve for growth." I recently read an article: “Can a hug make teenagers less terrible?” by British writers, Richard Sadler and Martyn McLaughlin, about teenage violence in Britain. It stated that “leading sensory researchers said . . . we are losing touch with such simple maxims, and warned that many of the nation's worst social problems—such as teenage violence and anti-social behavior—are probably linked to our famous British reserve and a lack of tactility between parents and children. We can surely make the same observations in The Bahamas and the Caribbean. Our teenagers need our loving touch. They are starving for a touch. It’s real! Yes! I am very serious about this. I believe that if there was much more purposeful, loving touching in our society, we will have less violence. We need more touching. We need more hugs. How do parents start touching in a loving way their teenagers if they have not done so in years? Be aware parents, if you start today trying to embrace your son or daughter and you haven’t done it in years, you might be pushed away. They might think you are weird. Take your time and be gentle. Take them out on a date first. Do not touch them. The next time start with a gentle pat on the shoulder and a positive comment. “I am proud of you.” “You look nice in that color.” When you embrace your teenager for the first time, start from the side with one of your hands pulling him or her to your side. This is less intimidating. Frontal embraces may not go well at first. You may get pushed away. Before you embrace, let your rebellious teenager first feel the touch of loving words on their hearts. It might take weeks to touching. Be patient. As you begin to blend loving words with loving touches, you will be amazed of the response and change in behavior. You will discover that your cold, accusatory methods will diminish and be replaced with firm, consistent advice, guidance, and care. Let’s stop the violence in our community. Start giving a loving touch today. Our teenagers need that. 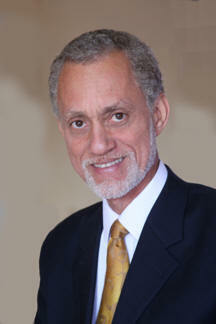 Barrington Brennen is a marriage and family therapist, counseling psychologist, nationally certified psychologist, USA. Send your questions or comments to question@soencouragement.org , or call 1-242 327 1980, or visit the website www.soencouragement.org , or write P.O. Box CD-13019, Nassau, The Bahamas.